Life in a big city can be glamorous and exciting. The fast-paced lifestyle and 24-hour entertainment are enough to entice anyone. When it is time to settle down or start a family; however, many prefer more tranquil surroundings. For these people, Charleston Park may be the perfect place. This beautiful neighborhood provides an old-fashioned suburban charm mixed with modern elegance and class. 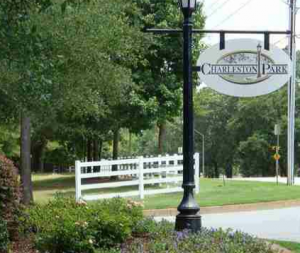 The Charleston Park community is located in Tyler, Texas. Only 90 miles from Dallas, Texas and Shreveport, Louisiana, this city provides its residents with easy access to high end shopping and dining. Tyler also has several entertainment options within the town. For adults, there are museums, amazing golf courses, the theater, and the East Texas Symphony Orchestra. Tyler also creates the perfect site for a day of family fun. There are many areas available to entertain children, including a national zoo, several parks, and even more ball parks. The most popular festival in Tyler is the Rose Festival. This spectacular event is full of activities for the entire community. In honor of the Rose, there are art shows, games, a parade, and an extraordinary pageant. So, while Tyler is tucked away from the hustle and bustle of city life, there are many special opportunities for wholesome entertainment. Although Tyler is lovely, there is much more to Charleston Park than its surrounding town. With a single glance, visitors can clearly see the splendor and graceful simplicity of the community. The homes are amazingly designed, and perfect for families of all sizes. The houses are also affordable for a middle-class income, ranging from $200,000 to $400,000. The Home Owners’ Association goes to great lengths to care for the land and amenities. The sidewalks are lined with historically themed lamp posts and the entrance is regularly decorated to observe the seasons. Charleston Park also has many areas for recreation or purely enjoying the outdoors. For gatherings, there is a swimming pool area complete with a grill and pavilion. There are also well-manicured areas for group sports and games. If you prefer quiet moments of peace and solitude, you could take a walk around the sparkling lake or on one of the nature trails. While Charleston Park is utterly breathtaking, there is much more to this neighborhood than charm and the services it provides. This is a place to build memories. Many would feel privileged to call Charleston Park their home. It reminds people of a simpler time. The residents of this area strive to offer one another many of the ideals that we have taken for granted, such as safety for our children, ownership pride, and a love of tradition.